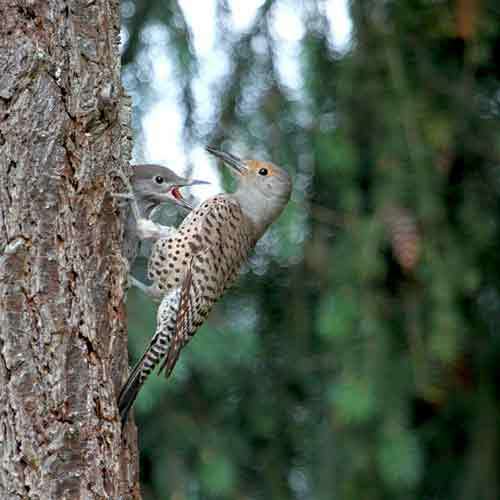 I discovered a family of Northern Flickers last week and have visited them a few times whenever the sun peeks out, which is rare lately. 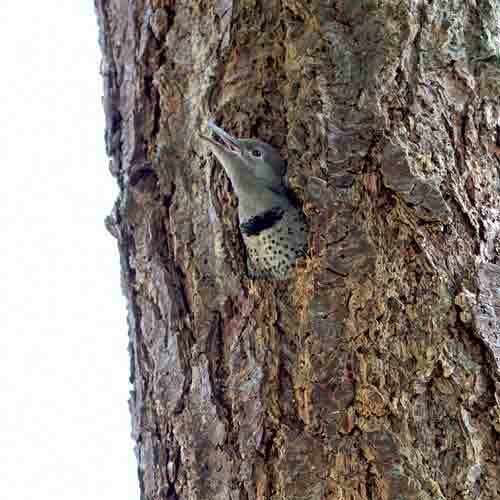 There are two babies in the nest, which is in a cavity in a dead tree. Both mom and dad spend all their time feeding the babies and the babies never stop calling out for them. Only one baby at a time will fit in the hole in the tree. I'm hoping to catch their first flight but we'll see. Meanwhile, if you like bird videos I made a short one of this cute family. Check it out!